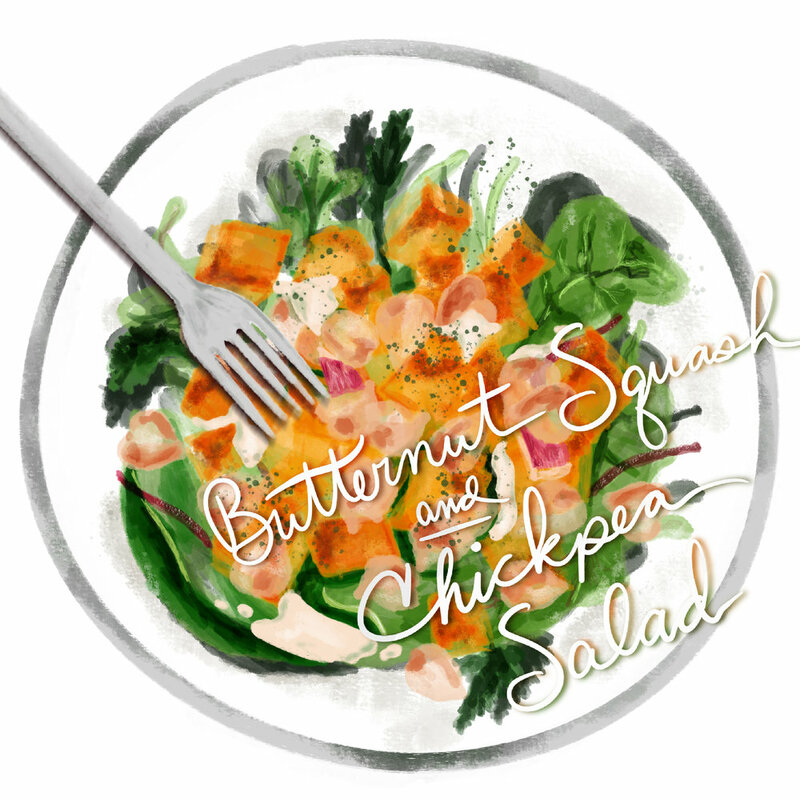 In keeping with my new style, I created this digital illustration “Warm Butternut Squash Chickpea Salad” by Smitten Kitchen. The recipe is actually for a salad without the greens, but I love adding mixed greens and putting the squash/chickpea mixture on top. The tahini dressing is creamy, and addictive. I could literally eat this dressing with a spoon. I don’t, but I could. I may lick the spoon though after I drizzle all of that creamy goodness over my salad. It’s very hearty, filling salad that will keep you satisfied until your next meal. I make this salad so often that I usually buy a larger squash and cut it up in cubes and freeze it for a later date.